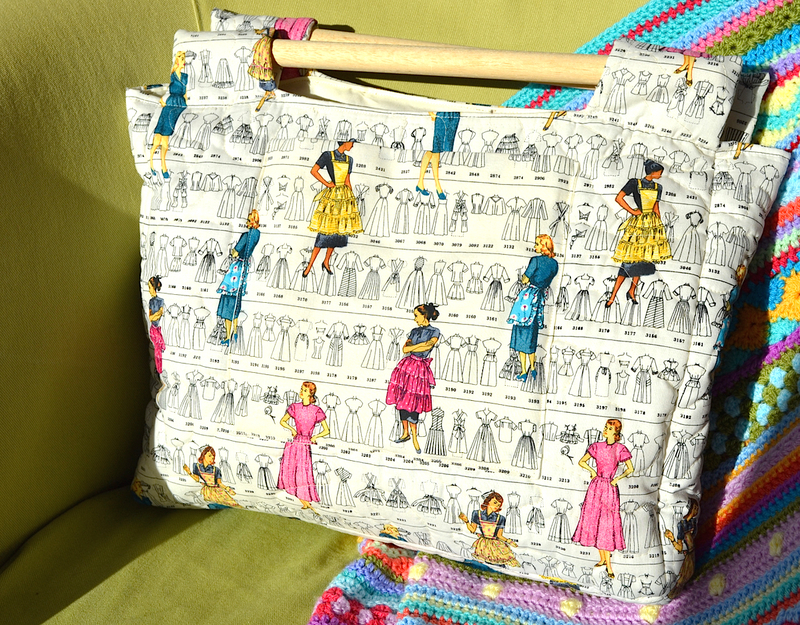 For those of you who have been following my blog, you will remember the “Sew Retro” bag I recently designed for storing all those WIPs, large and small. You can read about how these came about here and here. 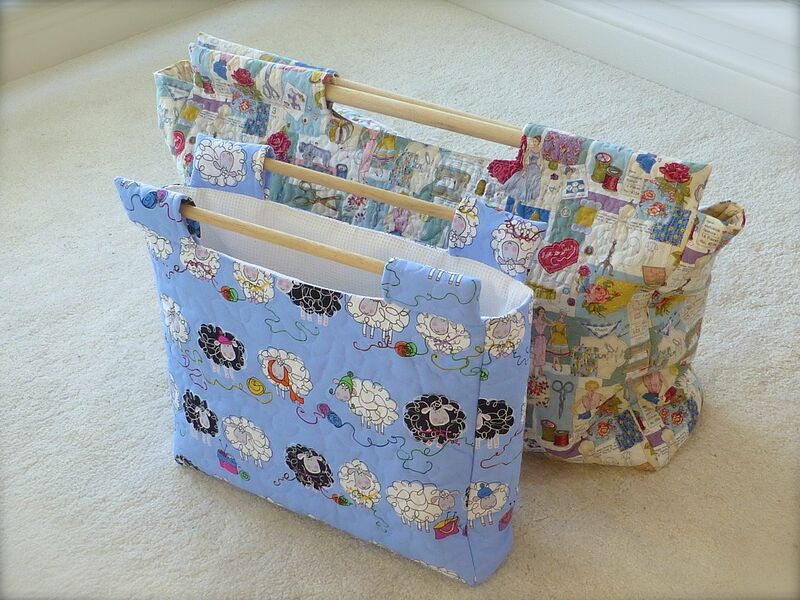 Well, I’m thrilled to announce that this pattern is now available to buy from my Folksy Shop! For just £4.99 the pattern is in PDF format with printable instructions for two sizes, perfect for every work in progress from small knitting projects through to the largest quilts. The pattern has clear step-by-step instructions and is accompanied by full colour photographs throughout. Lucie from Love, Lucie agreed to test the pattern for me before it was made available for purchase to check that it the instructions were clear and easy to follow. 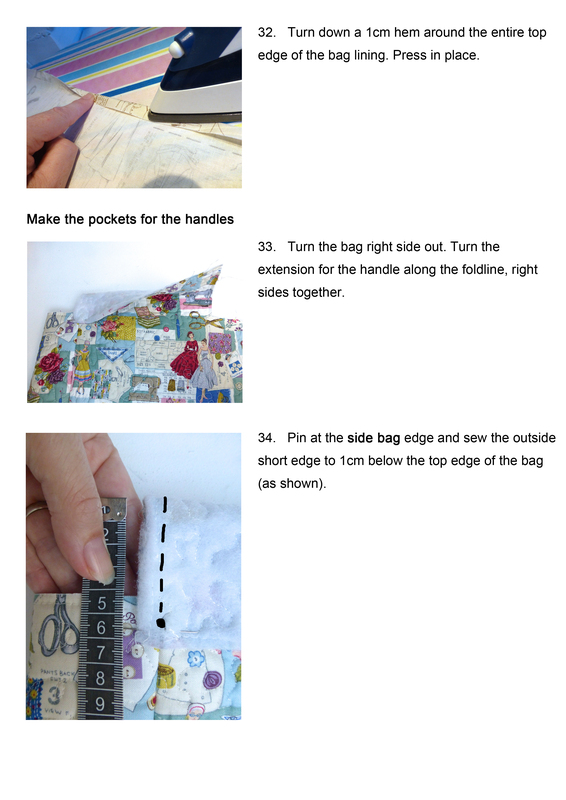 She tested the pattern by making the smaller bag following the steps exactly – if you would like to see her review follow this link. 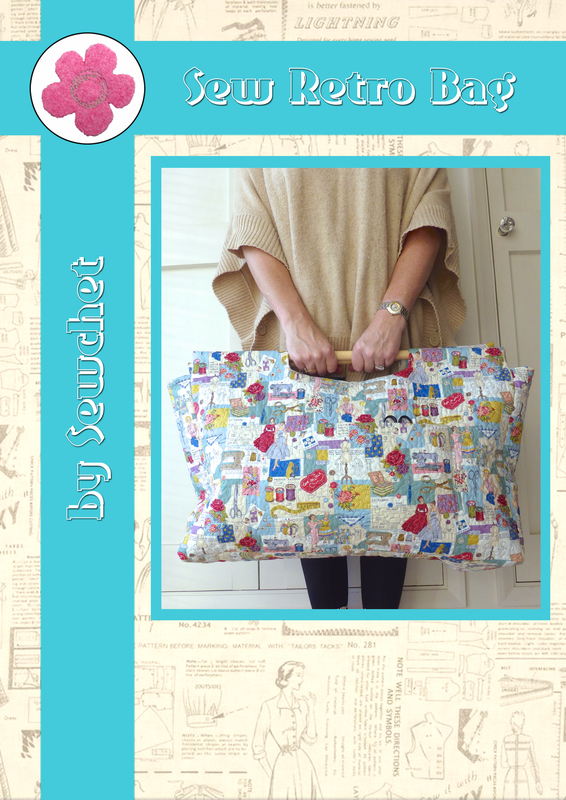 This is Lucie’s finished bag – didn’t she do a fantastic job? I was nervous that Lucie would feel under pressure to write nice things but, after seeing how much she really enjoyed making the sewing bag, I am pleased to say that she likes it so much that she is already planning to make more for herself in the form of beach bags! You can’t get a more positive review than that, can you? Categories: Crafts, Sewing | Tags: bag pattern, knitting bag, knitting bag pattern, sew retro, sewing bag, sewing bag pattern | Permalink. Just bought mine! Excited! I’ll need a whole family of these to keep all my WIP’s in order! Lucie did a fab job with hers…..love it! Snap – dinner party went well last night but I think the homemade Cointreau truffles finished me off! Oooo.. I love cointreau but hardly ever have it. I wonder if my bottles still in date, it only occasionally comes out when I want a splash in a liquor coffee. what recipe did you use for the truffles? 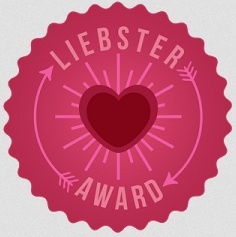 Thanks for the link; it’s a fab bag! Hope you’ve had few sales. Will you be doing others? I’ve already sold a few! More patterns will follow, but they take soooo long especially documenting every step and you only end up using a tiny proportion of the photos taken. Love this pattern and the fabric. Beautiful! Hi Sheila, I’ve just purchased your pattern. Haven’t used my Paypal account for a while though, so let me know if you get one of those pesky echeque things, I know they’re a pain! I have gone to your Shop and I am unable to find the pattern anywhere. I would love to buy it but I can’t seem to find it. I have tried every category I can think of and am unsuccessful. Any HELP you can give me would be greatly appreciated. Sorry – I list them 5 at a time and sold them all this morning. I will restock right now.